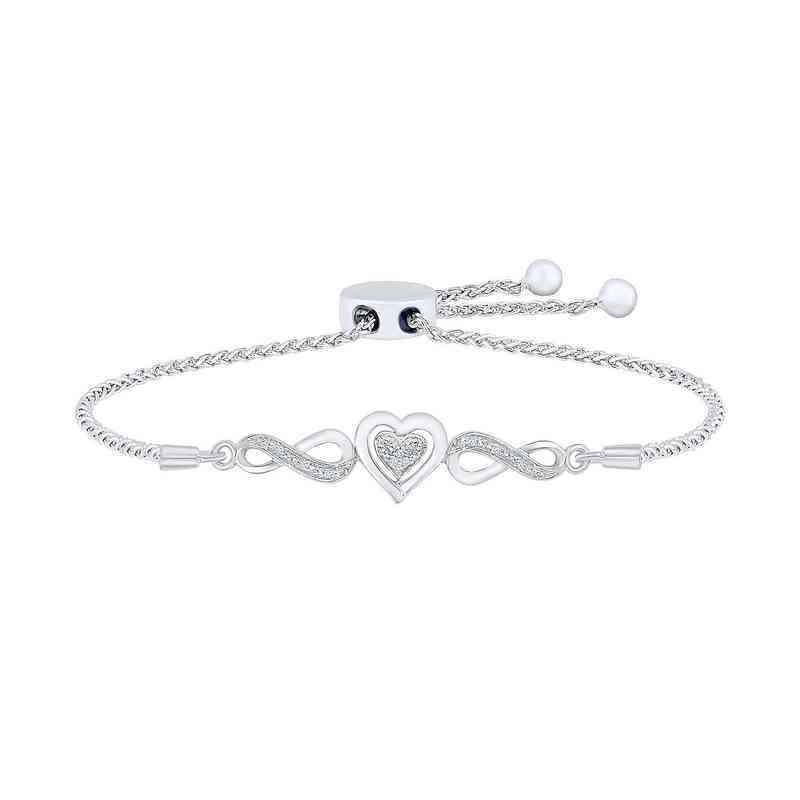 Share the feeling of a forever love with this bolo bracelet. It is crafted in sterling silver with a heart nested between two infinity signs, all with diamond accents and a lustrous finish. With a bolo clasp on its wheat chain adjustable to up to 9.5" long, you can shine securely. Manufacturer direct from a trusted supplier.